Learn how to use guided notes in your classroom and use them as a tool for formative assessment. 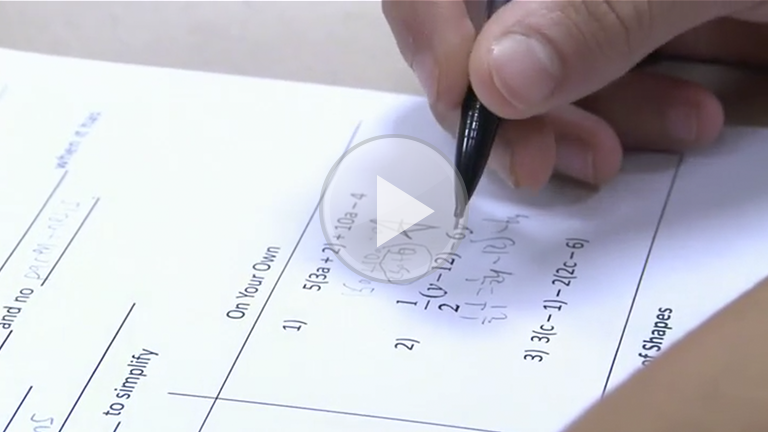 How do Mrs. Graf’s students benefit from the guided notes that have both math problems that teacher and students do together and problems that students do on their own? How does Mrs. Graf use guided notes as formative assessment? How do the guided notes used in Mrs. Graf’s class help students take ownership of their learning? How can you use guided notes with your students? How can guided notes benefit your students? What process will you try to help your students organize their learning? How can the process that you choose double as a formative assessment?